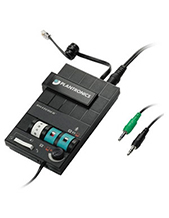 Plantronics Vista Universal Amplifier is an audio device that offers users acoustic protection and additional sound quality when connected to a phone. The device is used for those phones that are not compatible to be connected to headsets since they do not have the appropriate connection or cable. 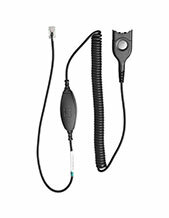 Through this product, users can connect headsets to phones easily. This Plantronics Vista Universal Amplifier is a VoIP-ready hands-free solution that offers specific and accurate levels of sophisticated hearing protection and listening and audio comfort. It is also compatible with office phones that use Clearline audio technology. 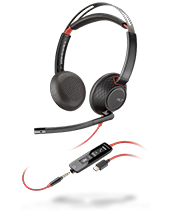 It is ideal for professionals who use headsets linked to PCs and deskphones. 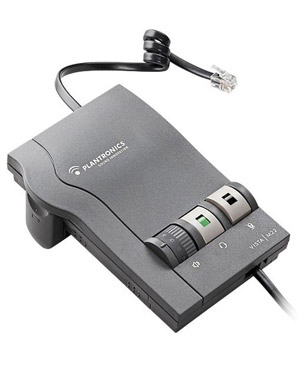 Plantronics Vista Universal Amplifier is user-friendly and offers additional controls when it comes to handling outgoing and incoming calls, which include volume control and mute function. Get to know more information regarding this product by calling our company hotline at Australia wide 1300 131 133 today! Plantronics, currently headquartered in Santa Cruz, California, and founded in 1961, is a top-notch developer and manufacturer of consumer electronics products and solutions in the audio and sound industry. The company has always been set in the development and improvement of headsets as supportive communication tools that can promote hands-free connection and allow users to move around. Plantronics is supported by approximately 5.000 employees all over the world with many partners and distributers in over 80 countries worldwide. Headsetsonline Pty Ltd is a popular enterprise’s new division that centres on providing corporate organisations and government sectors with high quality headsets and audio products and solutions that can help them in their operations. This enterprise has been operating since the year 1998 and has polished its products and services like no other. Headsetsonline offers high quality products and solutions by getting stocks from Australian distributors and avoiding grey imports at all cost. With Australian distributors, all the products and solutions from them are ensured to be certified with Australian standards. In addition to that, the warranties offered together with the products and solutions are guaranteed to cover all of Australia and so users can use them wherever they may be situated in the country. Headsetsonline completes deliveries promising customers that what they are paying for are just what they bought. The company offers flat shipping rates Australia wide and ensures no surprise and hidden charges.